Stare at the stars: SkyWatch: Magic...! And the one of the young God is amazing! All those beautiful sunsets under your sky. Makes me want to go back to Portugal some day. One thing i can say!! != the match, watching benfica, one og the greatest football memories ever my friend!! never ever if i will forget that evening. 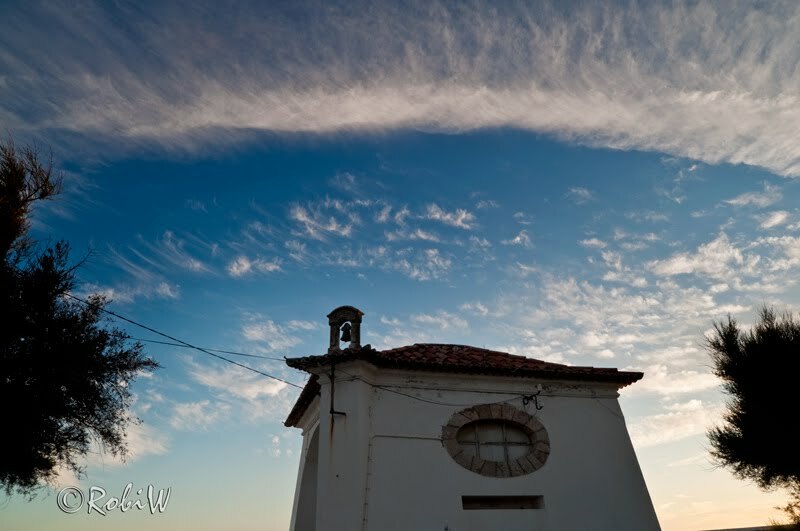 Gorgeous wispy clouds and blue skies, Robert, and the second shot is absolutely breathtaking, what superb composition! A young God indeed! Love the glowing sunset and the reflections on the water! Great way to end the day! Hope you have a wonderful weekend! A nice weekend to you, Robert! Magic indeed. Thanks for sharing. 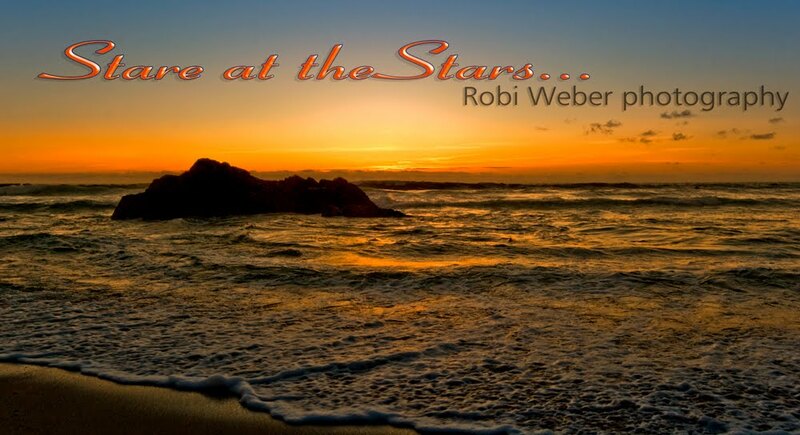 Robi, both your photos are beautiful but the creativity in the second one is wonderful. Thanks for sharing. So beautiful photos!Thank you for sharing and have a nice weekend! Beautiful feathery skies in the first photo and love the drama of the silhouette shape in the second one! thank you for sharing two beautifully photographed images. happy weekend. Love the second one. Stunning! Beautiful blue sky & what a great silhouette! The silhouette shot is awesome. Cool. Great style for a silhouette shot. gorgeous shots! I really like them both. have a good weekend! I like both your sky photos... each one unique. Hey Robi, nice job on both these. I love the way you caught the rounded cloud edge on the top one and the boy in front of the sunset on # 2 is very creative. Beautiful compositions. The second shot is awesome. Yes, this was really magic:) Beautifull clouds in the sky! And the second picture of your som was very nice! I wish you all a sunny weekend! You Got some good pictures her. Preciosa imagen. Me encanta el contraste de luz y sombra. Besos mil, querido amigo!! Great captures!i like the last one! Awesome photography Robert!! Loved the silhouette!! 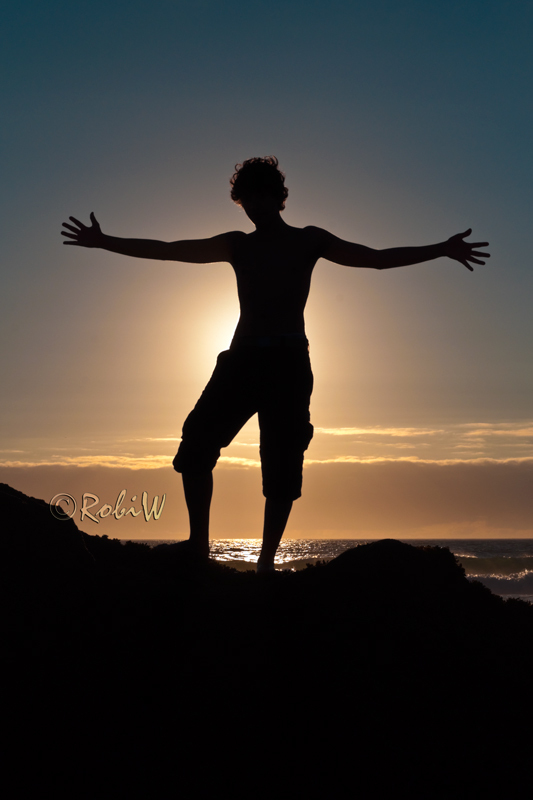 I very much like the photo with the human silhouette! fantastic...the second photo is simply wonderful! the clouds look like they were brushed. Love both photos. The silhouette photo is really cool. happy skywatching!